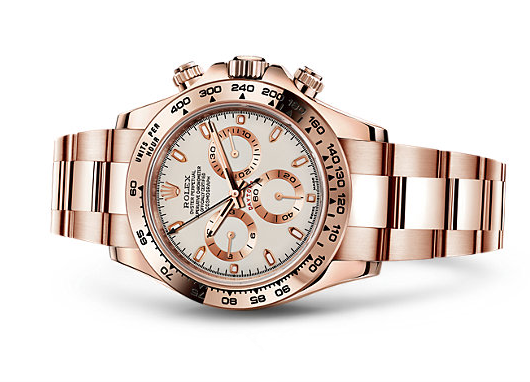 Rolex Daytona Planet Chronograph especially designed for professional driver, which rapidly considered as the symbol of racing wrist watch since it appearance in 1963. 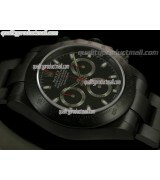 The watch has the professional timing mechanical structure and speed test outer scale. It can measure the consumed time and calculate the speed. 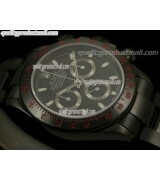 Dimensions: 40 mm * 12.50 mm. 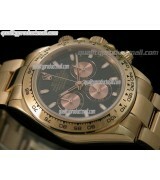 Material：Genuine solid 316L Stainless steel, polishing finish; Rose Gold coating. Dial：Ivory Dial with Droplet Hour markers, hour hand, Min hand, sec hand. 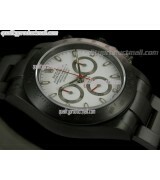 Strap：Genuine 316L Stainless steel bracelet with fold-over clasp locked. Model：Swiss 7750 movement, perpetual rotor winding bi-directionally for the mechanical movement. 2:00 Pusher – Start/Stop, 4:00 Pusher - Reset.